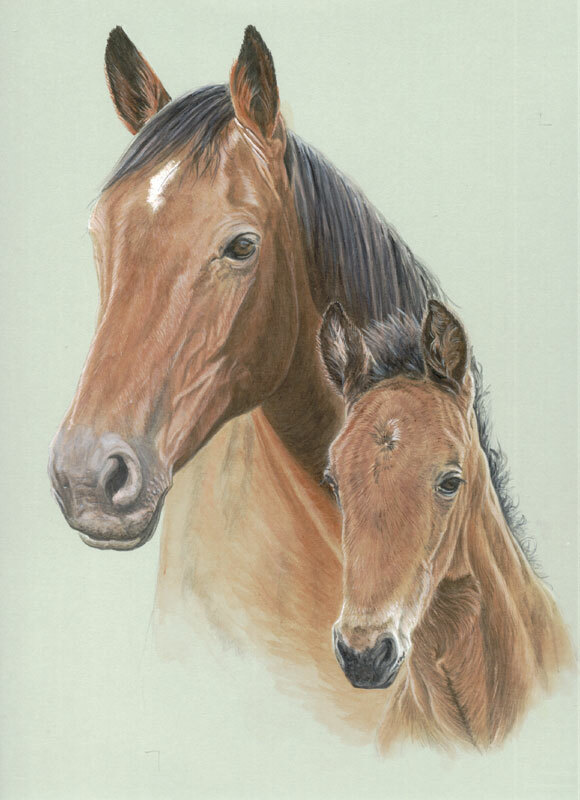 My name is Elizabeth Mills and I paint animal portraits, mainly horses and dogs though I have painted and drawn everything from pigs to ferrets! I mainly work from clients own photos, though if you live locally I may be able to come and take the photos myself. 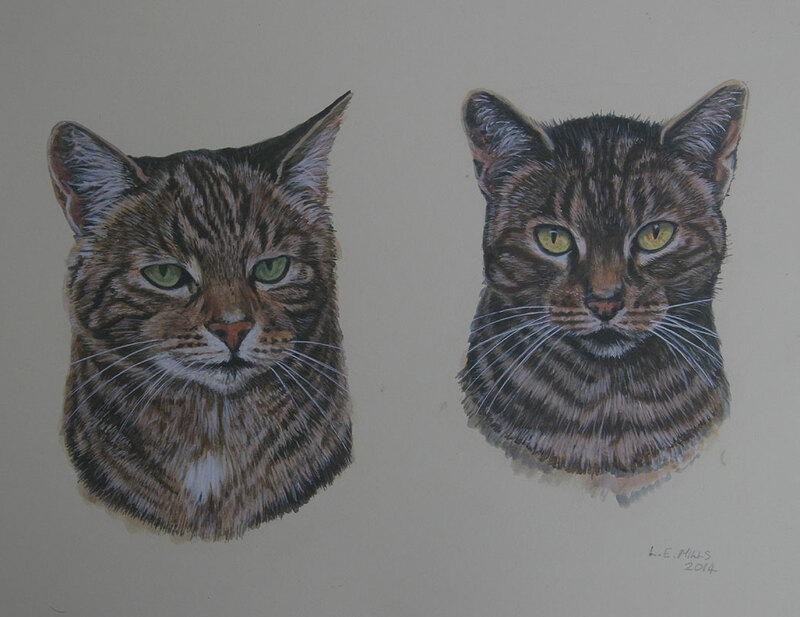 To enable me to truly capture the spirit and personality of your pet I need good quality photos showing your pets markings and colouration and the pose you would like. 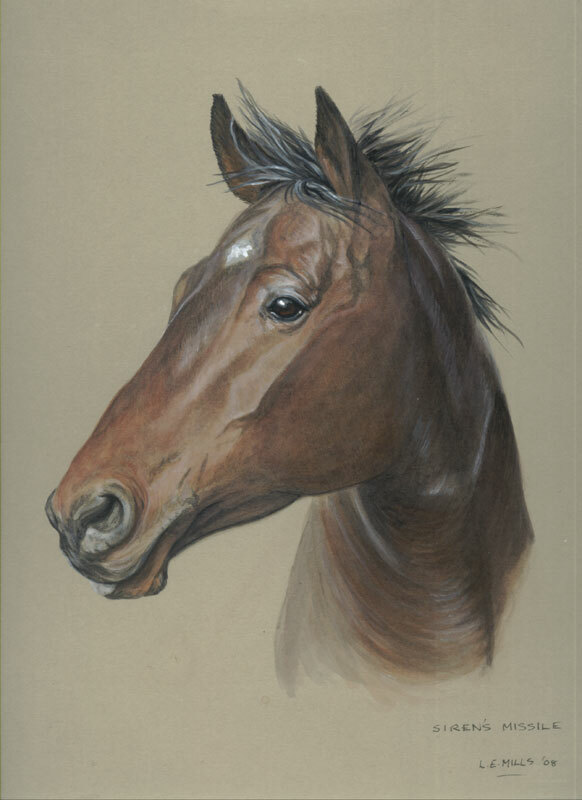 I will email scans or photos of the portrait in progress to enable you to request any changes, especially crucial if high quality photos aren't available. Click on a picture below to see more detail. 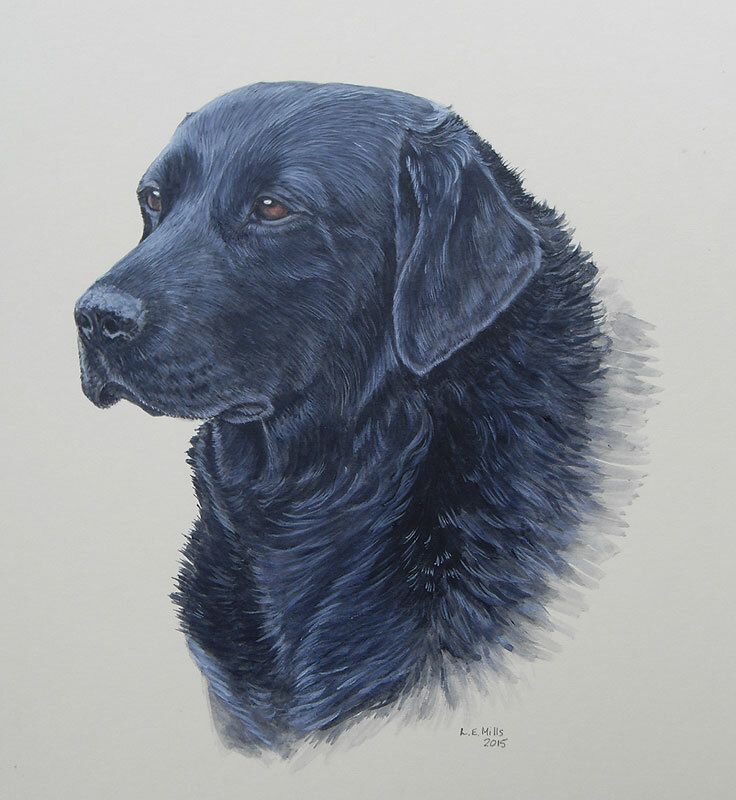 Sirius was a commission for a local gamekeeper. Acrylic pet portrait on matboard. 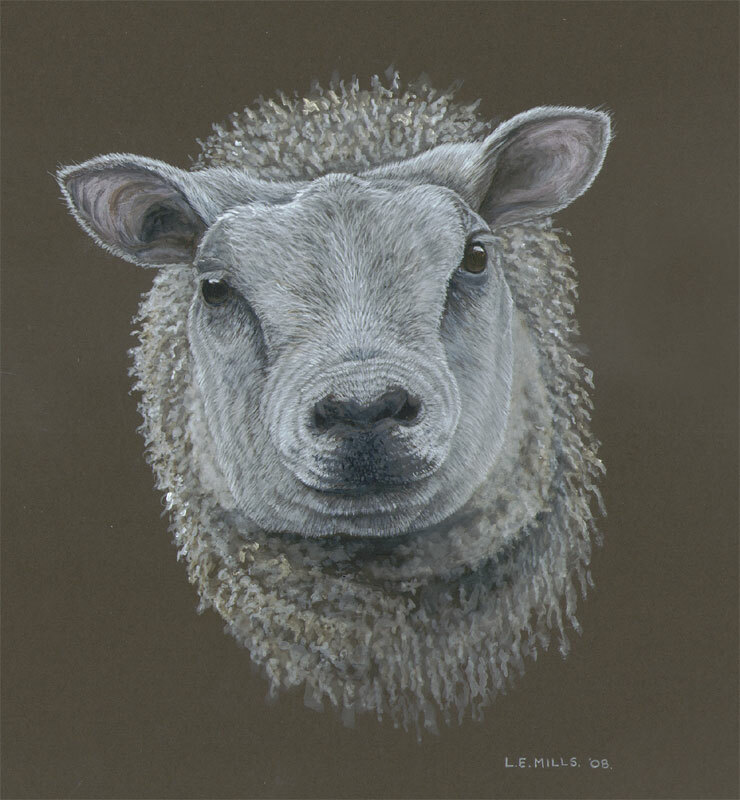 Texel sheep acrylic pet portrait. Commissioned as a surprise birthday present. Acrylic pet portrait on matboard. 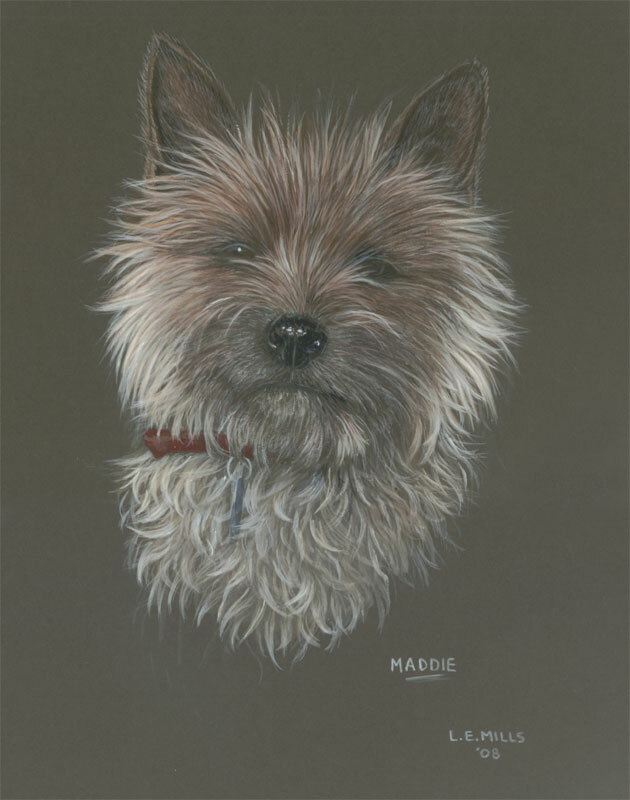 Maddie the Cairn Terrier puppy was painted as a surprise Christmas gift. Acrylic pet portrait on matboard. 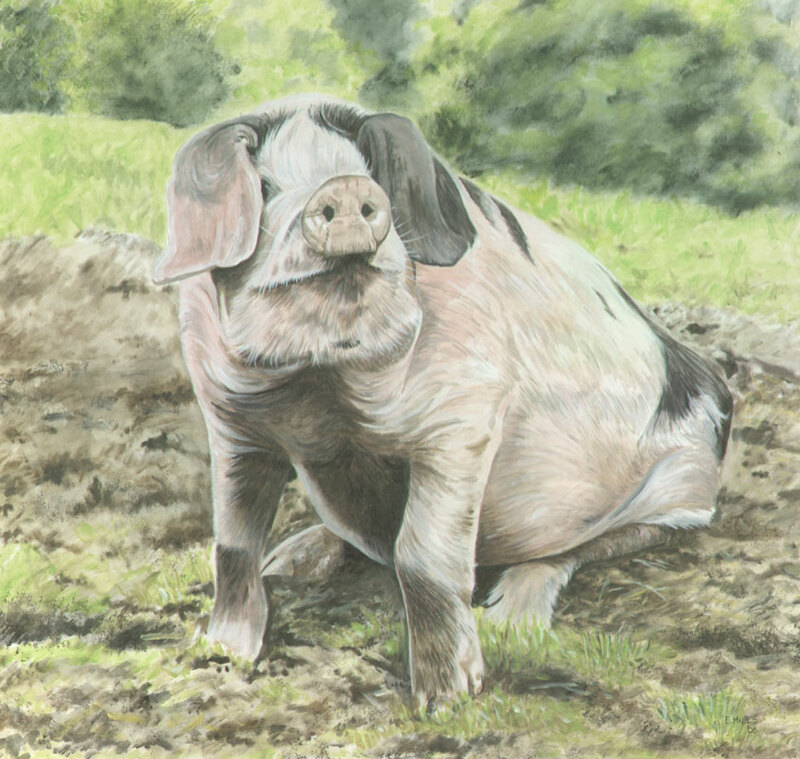 Driving home one day I saw this beautiful pig just enjoying the day and had to stop to photograph her, I just knew she'd make a wonderful painting. 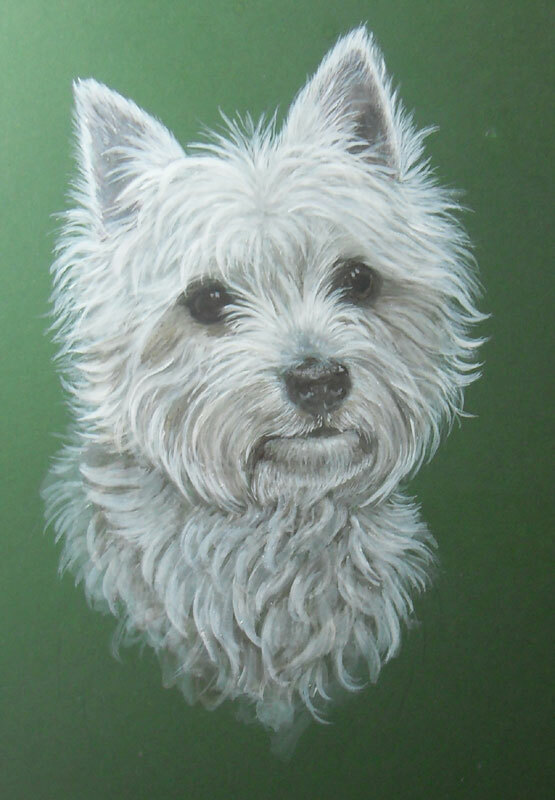 Acrylic pet portrait on MDF board. 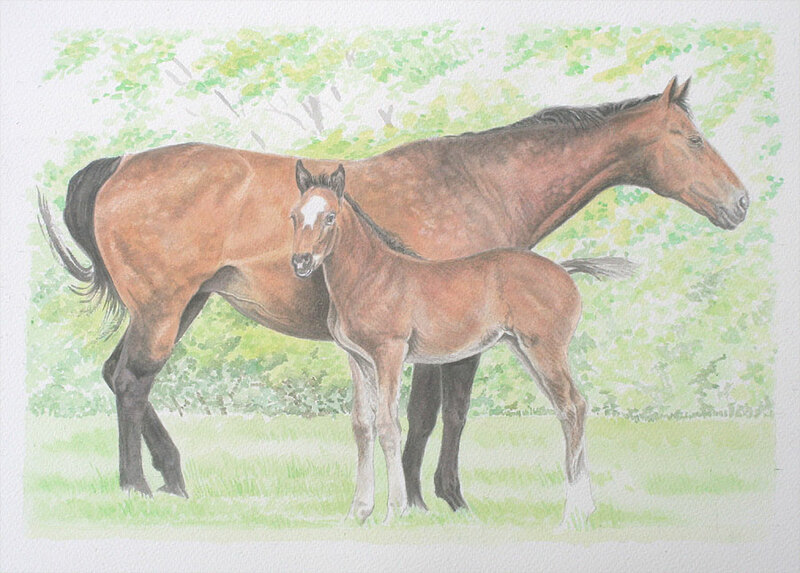 Commissioned watercolour pet portrait of a beautiful gentle mare and foal, they were a delight to paint. I like to take the opportunity of photographing animals whenever I can. 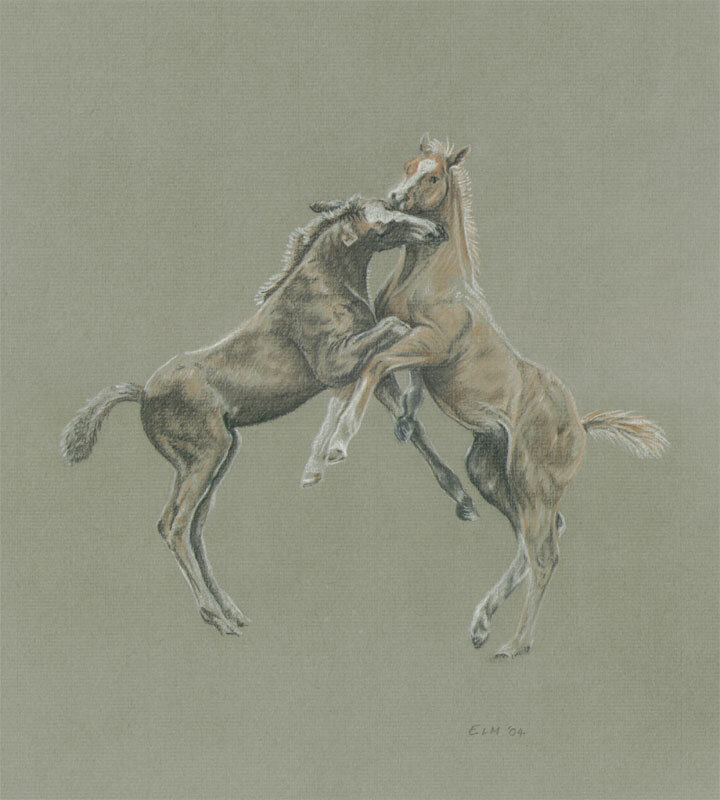 These are two beautiful foals play fighting at the local stud. 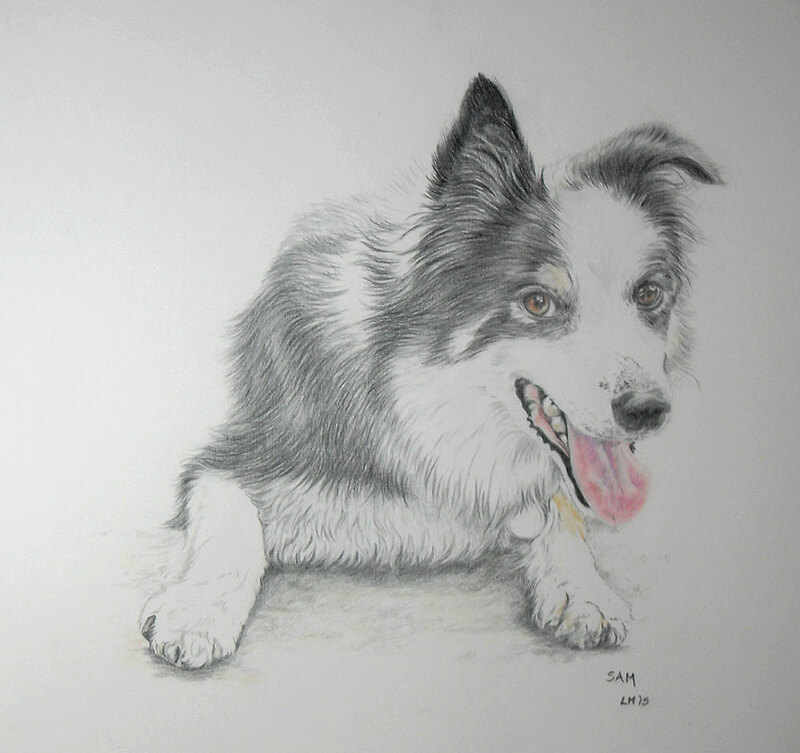 Coloured pencil pet portrait of a Border Collie. Acrylic pet painting on matboard. 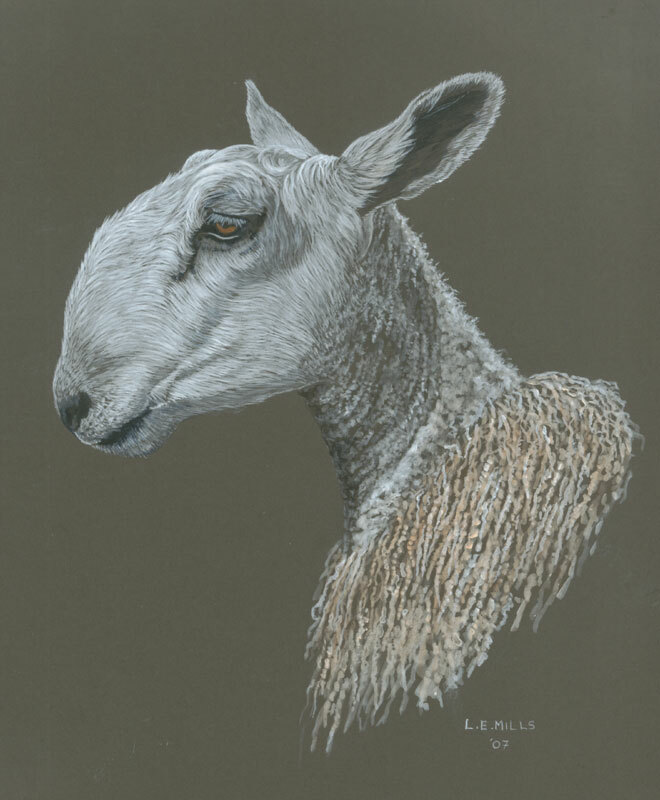 Acrylic pet portrait of A Blue Faced Leicester sheep.